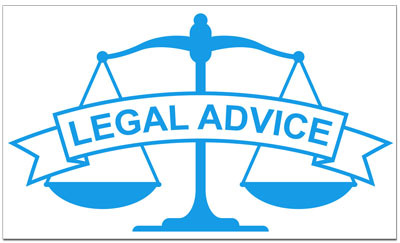 Although free legal aid has been available for a long time, free legal advice online never existed until the Internet became available to the public. Although there is free help from a selected group of attorneys by phone or office visit, there are also attorneys who will answer questions by way of the Internet. There are websites where you can post general questions and get them answered by a licensed attorney. The National Legal Aid Association is a national, nonprofit organization committed to supporting justice for US citizens. This association helps to provide legal support for those who unable to meet the expense of hiring an attorney. Who Pays for Free Legal Aid? Free legal aid programs are funded by many sources. These sources would include grants from Congress, businesses, individuals, local bar associations, and others. Some free legal aid programs are completely funded by private donations and assist those with non-criminal circumstances. Most people are familiar with the term public defense. This type of free legal help is for people that have pending criminal charges and who unable to afford an attorney. The free legal help is generally provided by a public defender. Public defenders will provide assistance to people who have been charged with a misdemeanor all the way up to someone facing the death penalty. They will also assist with juvenile cases. If you cannot afford an attorney you should contact some of these organizations to find out if you qualify for free legal aid.